BASKETBALL SPOTLIGHT NEWS: 8th Grade Program Preview: NC Runnin Rebels Ready To Roll! 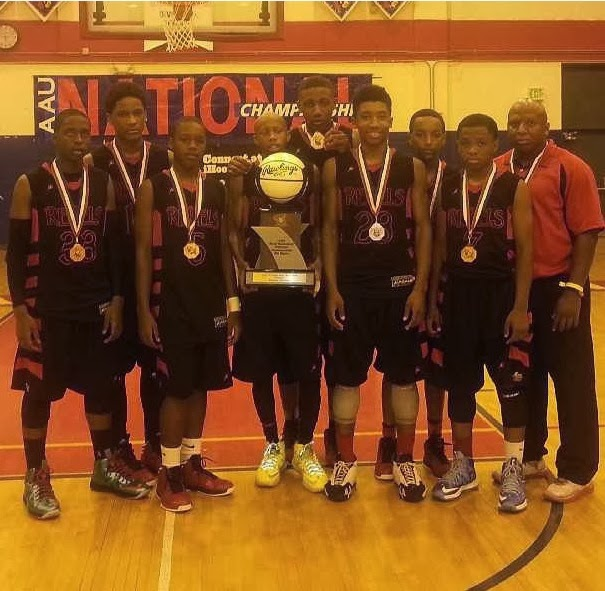 8th Grade Program Preview: NC Runnin Rebels Ready To Roll! Coach's Outlook: We realize that we don’t get the shine of some of the other teams so we’re just going to continue to work hard and let our performances speak for themselves. This year’s team could prove to be even more special than last year’s team. We are bringing back everyone from last year’s final four team and have a couple of other great pieces that are expected to join in the near future. Just like last year, we’ll be starting a lot later than most other 8th grade teams so we’ll have to get our new pieces to gel and shake off some of the rust early in the season. By playing the best competition from the start and throughout the season, we expect nothing less than for us to be clicking on all cylinders by mid season and making another deep run at Nationals. Spotlight Analysis: The NC Runnin Rebels cashed in when it counted last season. First they won the NC State Championship before heading to Memphis and making a Final Four run. This season they return the core of their team including talented forward Andrew Tuazama. One of the great aspects of this team is their unselfishness and willingness to play together. We will get our first look at them during the Tip Off Classic.